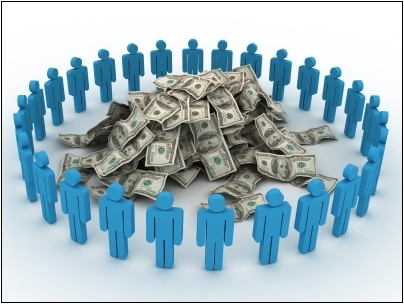 Ever wondered if crowdfunding was right for your business? Been following news coverage of the SEC’s controversial, proposed new rules that would allow public stock offerings by early-stage companies? Whether you’re an entrepreneur or angel investor, have we got a crowdfunding panel discussion for you. Please join us at this complementary event on Wed. 11/7 from 5:30-8pm in Pioneer Square. Full details below – registration required. To volunteer, please email info@yaleseattle.org. Crowdfunding for Entrepreneurs: Useful Path or Costly Detour? Parking is available in pay lots across the street. Beverages and appetizers will be provided. Join us for a panel discussion on Crowdfunding under the JOBS Act. As envisioned by the JOBS Act, new Crowdfunding rules are intended to expand and ease the methods of capital raising by small companies by allowing the sale of unregistered securities to the public under certain circumstances. This panel will address the question of whether Crowdfunding is likely to achieve this goal. Peter Weiss – Venture CFO and President, American Outlook, Inc. The discussion will start with a general overview of the Crowdfunding legislation and the status of the SEC’s proposed Crowdfunding regulations. Then, panelists will discuss the following topics and participate with the audience in a general discussion. This event is intended for entrepreneurs, investors, and the general public. Anyone interested is encouraged to attend, even if you don’t know anything about Crowdfunding or securities law. If you are an entrepreneur seeking to raise capital or interested in starting a funding portal, we encourage you to attend this event. Go to http://www.brownpapertickets.com/event/285787 for additional details and to register for free. Space is limited, so please only register if you really plan to attend. This event is being hosted by Summit Law Group, Yale School of Management’s Seattle alumni chapter (SOM Seattle) and the Seattle Business School Alliance. Click on the following images for more information about our sponsors.